The word “martyr” is the same Greek word that is more commonly translated “witness” in our English Bibles. However, we traditionally think of the word martyr in terms of someone who gave their life for a cause they believe in. Here are 8 martyrs, or groups of martyrs, that we find in the Bible. These men gave (or will give) their lives for Christ and the promises of God concerning the Redeemer. The first martyr we find in the Bible is one of the sons of Adam and Eve. In Genesis 4 Cain killed his brother Abel because Abel’s sacrifice was accepted by God; whereas, Cain’s sacrifice was not accepted. Cain brought a sacrifice for which he labored. His attitude when he brought it to God was one of trying to impress God with his own works. However, Abel’s attitude told God that he trusted in the promised Messiah. Abel’s sacrifice was a witness to the fact that he knew he could not work to save himself, but relied on the coming sacrifice of Jesus Christ. Cain killed his brother Abel because of Abel’s clear witness that we cannot save ourselves. We cannot change God’s plan to fit our own religious views. Jesus tells us that Zechariah (the prophet) was killed between the temple and the altar (Matthew 23:35; Luke 11:51). We do know of a Zechariah from 2 Chronicles 24 who was stoned in the courtyard of the temple. He is called the son of Jehoiada in Chronicles. This could easily have been the prophet Zechariah even though he is called the son of Berechiah in the book of Zechariah. Often in the Old Testament genealogies people are referred to as “the son of” any generation of father or grandfather. Or, it could be that Jehoiada and Berechiah are the same person. This is true in the case of many men in the Bible: Simon is Peter, Belteshazzar is Daniel, etc. If the reference is to the Zechariah, son of Jehoiada, mentioned in 2 Chronicles, this is a way of Jesus saying “you are responsible for all the martyrs from A to Z.” Abel would have been the first martyr and Zechariah would have been, chronologically, the last martyr in the record of the Old Testament. Zechariah was killed by stoning. He was killed by those who wanted to re-create God into their own image. This is what happened when Cain wanted God to accept his offering of works. Cain was trying to worship God his own way instead of coming to God in the way God desired. This happened to Zechariah too. And, a few days after Jesus spoke these words to the religious establishment of His time, they slew Him. The first New Testament martyr that we know of is John the Baptist. He was killed by Herod the Tetrach in Matthew 14:1-12. Herod had imprisoned John because of John’s disapproval of the king’s divorce for the purpose of marrying his sister-in-law. At Herod’s drunken birthday party he offered to his new step daughter a gift of anything she wanted. Herodius (the new wife of Herod), told the step daughter that she should ask for John the Baptist’s head on a platter. Herod beheaded John, though he was hesitant to kill John for his own sake. During the Great Tribulation the Two Witnesses will have a bodily resurrection and then they will ascend into heaven by the command of God. In Acts chapters 6 and 7 Stephen boldly preached the Gospel. He clearly called out those who put Jesus on the cross. This did not make the religious leaders happy. They bit and stoned Stephen (Acts 7:54-60). 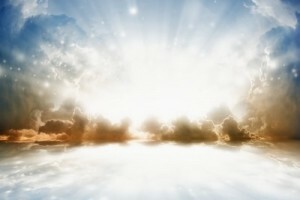 As he was dying he looked into Heaven and saw Jesus standing at the right hand of God. He then looked at his persecutors and asked God’s forgiveness on them. As with many martyrs through the centuries, Stephen was killed by the religious establishment. Those who passionately stand for the cause of Christ are persecuted by those who have built their own idea of God. There were two brothers who, along with Peter, made up the inner circle of disciples. James and John were the sons of a fisherman named Zebedee. James was killed by King Herod Agrippa I according to Acts 12:1, 2. He was killed by the sword during a time the king was starting to persecute the church. During this time the king also imprisoned Peter. Apparently he planned to kill Peter too, but an angel came and rescued the Apostle from a locked prison. We aren’t told why he suffered such fate, but the Bible says that he was killed for God’s sake. God says that there will be two witnesses during the time of the tribulation. They will preach the truth of God for 1,260 days (almost 3.5 years). They will be untouchable and unharmed during that time. However, they will be killed by the beast in Revelation 11:7, 8. As they lay in the streets of Jerusalem for three and a half days, people will look on them, dance, and rejoice that they are rid of the convicting preaching of these witnesses. After that time they will be resurrected. They will have a bodily resurrection and then they will ascend into heaven by the command of God. There is great honor placed on those who are martyred for the cause of Christ. The Bible does not teach that we should seek martyrdom, but we should face it with faith in God and trust in His grace if that becomes our fate. During the tribulation time there will be many martyred for Christ. In Revelation 6:9-11 the martyrs inquire of God when their lives will be avenged. God gave them a white robe and they are told to wait for a special job. In Revelation 20:4 those who are martyred for Christ will be given responsibilities to reign alongside Jesus during the millennial kingdom. Many are being persecuted for the cause of Christ. Being teased by schoolmates because you go to church on Sunday is nothing compared to what is happening in many places in the world. Just because your boss won’t let you off for a religious holiday does not mean you are suffering martyrdom. Think about those Christians who are killed in their churches around the world simply because they choose to worship the Christ of the Bible. Real persecution is happening today. Pray for those who choose to take a stand for the cause of Christ and suffer because of it. I believe in the one true God, my God. We servants that are ready to take the servanthood upon them that Christianity will be base on the only true one God …. Able wasn’t a martyr he was a victim. A martyr is clearly d fined as someone who is killed for his belief, and refusal to recant that belief. Thank you Mr. Jones. The dictionary defines a martyr just as you said sir…but this same dictionary says a martyr is “a person who is put to death or endures great suffering on behalf of any belief, principle, or cause” and “a person who undergoes severe or constant suffering” so what did Able do to deserve to die? Was it because he gave God a pleasing sacrifice instead of Cain’s? Yes, a martyr can be someone who’s killed for their faith but not just that alone. People who outwardly don’t obey God don’t usually like those who strive to obey God. The word for “martyr” Witness” in the Greek. This piece blessed my soul. Many thanks. Sorry, Mr. Peach, but you can’t call half of these people martyrs for Christ. For example, Abel and Zechariah, Christ wasn’t even thought about, let alone these two people having died for his sake. John the Baptist was killed because he criticised the king for his actions. Again, no Christ mentioned to give his life for. The two witnesses in Revelation? Considering that Revelation is just that, a revelation, they strictly speaking haven’t died, therefore they cannot strictly be considered as giving their life for Christ (since they only had a metaphorical life, not a literal one). You seem to be writing a lovely piece for a Christian audience, but that loveliness may be at the expense of factual accuracy. Hello Damien. You are so off the mark here and not being fair to the author of this article. These people lived for God and were martyred for their beliefs in God, so since Jesus is God, and the God of the Old Testament, these did die a martyr’s death by doing what God told them to say. I am sorry you must not believe in God or this article. By your signature, being an atheist, I am not surprised. Previous post: Does The Bible Talk About Eating Healthy? Should Christians Watch Their Weight? Next post: Struggling With the Same Sin: How Do I Break Free?